Date : 1923 Dimensions : 78,5x117cm Imp : Robaudy, Cannes Condition : entoilée A Affiche originale entoilée en très bon état. Rare. LES JARDINS DU CHATEAU DE VERTCOEUR EN ILE-DE-FRANCE. Six Planches Gravées Sur Bois Par Robert Bonfils. Vertcoeur (René Philipon?) 1923. No. 24 of 30 copies, numbers 5-30 on Hollande v. Gelder, signed; this copy signed by Robert Bonfils. The stunning series of plates portraying the gardens are printed in colors from wood blocks by Robert Bonfils at the press of Jacques Beltrand. These full page views at Vert-Coeur are of the terrace, the rose garden, the marble staircase of the exterior, the "théatre de verdure", the view across the valley, and the view from within onto the terrace. Vert-Coeur , built in 1902, was the property of count René Philipon in the Chevreuse valley, Ile-de-France. There, Philipon, occultist, bibliophile, collector, and entomologist hosted such literary and artistic figures as Jean Cocteau, Paul Valéry and Marcel Proust. Philipon's enlistment of Robert Bonfils to preserve the memory of Vert Coeur came shortly before the artist helped establish recognition for Art Deco style with his color woodblock poster for the 1925 Paris International Exposition of Modern Industrial and Decorative Arts. His broad and varied artistic career often combined a love of graphic art and book production. The chateau de Vert-Coeur itself, located 15 kilometers south-west of Versailles in the village of Milon-la-Chapelle, was purchased in 1946 by Charles de Gaulle for use as a charitable institution. We can currently locate only 2 copies in OCLC (BNF and University of Michigan). 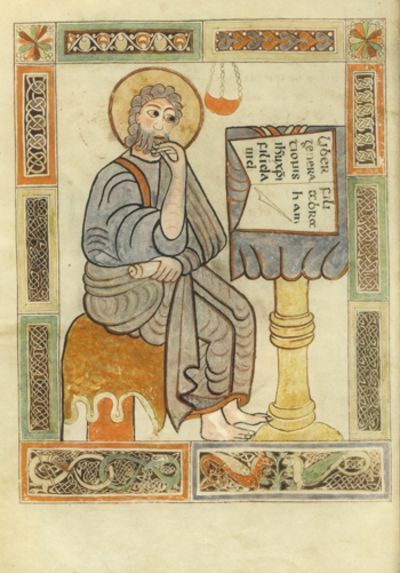 Folio (40 x 32 cm); 4 ff. text with color woodblock design on title page + 6 matted color wood block plates . 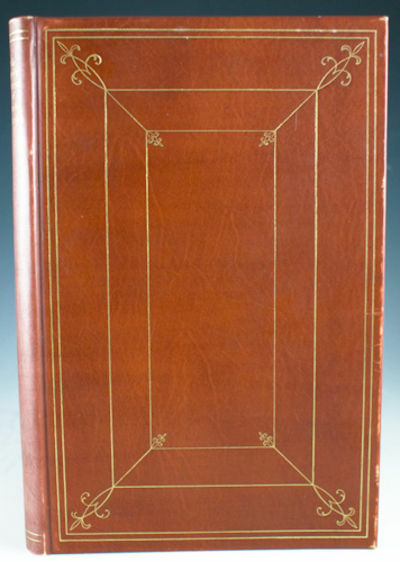 Loose, as issued, in original cloth backed portfolio covers which show a modest bit of wear - the upper ribbon tie has come loose, but is preserved - some separation of cloth at spine edges; original metallic silver paper endpapers; very modest foxing or dull stain to edges of text plates and to the passe-partouts for the engravings; the images themselves are unaffected and bright. .
( Paul Verlaine ) - Gustave Le Rouge - F.A. Cazals. Les derniers jours de Paul Verlaine. Mercure de France 1923. In-8 relié de 277 pages au format 13,5 x 20 cm. Reliure demi basane avac plats & pages de garde en papier marbré. Dos à 4 nerfs avec titre gravé & doré. Dos & mors avec importants frottis. Couvertures conservées. Belle préface Maurice Barrès. Portrait de Verlaine en frontispice. Exemplaire n° ( 6652 ). Iconographie avec de nombreux documents & dessins. Intérieur parfait. Superbe état. Rare édition revue & corrigée en partie originale. Précieux exemplaire orné d'une dédicace autographe de l'auteur à l'écrivain Pierre Benoit. Les dédicaces de Gustave le Rouge sont rarissimes.Port gratuit pour la France ( En raison des nouvelles normes postales, les livres dont l'épaisseur dépasse les 3 cm seront expédiés obligatoirement en Colissimo avec un forfait ajouté de 5 € ) Port à la charge de l'Acheteur pour le reste du monde. Pour destinations extra-planétaire s'adresser à la NASA. Membre du Syndicat Lusitanien Amateurs Morues - Vente exclusivement par correspondance ! Le libraire ne reçoit que sur rendez-vous. Il est préférable de téléphoner avant tout déplacement. New York: A.L. Burt, 1923. Book. Near Fine. Hardcover. New York: A.L. Burt, . 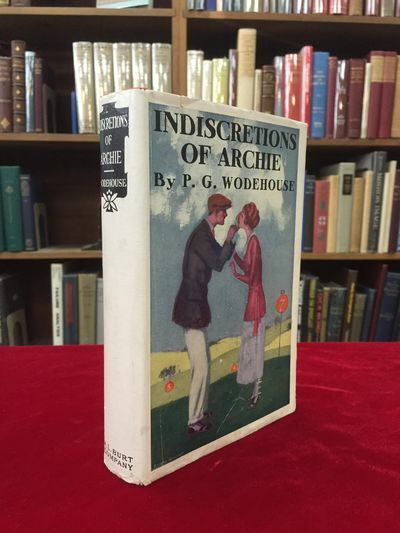 An early reprint of this exceedingly uncommon Wodehouse title. The story of impoverished, embarrassment-prone Archibald "Archie" Moffam (pronounced "Moom") and his difficult relationship with his art-collecting, hotel-owning, millionaire father-in-law. Small octavo. Original red cloth binding, with decorative black stamping. Internally crisp and clean. Small bookseller's label to the front pastedown. Some mild wear to the dust jacket; else a lovely copy. McIlvaine A26b..
Don Juan. Dramatische Phantasie in sieben Akten. Mit 14 Radierungen von Felix Meseck. Stock, 1923. - Stock, Paris 1923, 19,5x19,5cm, broché. - Originale, uno dei 25 esemplari numerati su Imperial Japan Edition, testina di stampa. Molto bella copia con i testimoni conservati presentato in camicia e custodia in cartone. - [FRENCH VERSION FOLLOWS] Edition originale, un des 25 exemplaires numérotés sur Japon impérial, tirage de tête. Très bel exemplaire aux témoins conservés présenté sous chemise et étui cartonnés. Chicago: University of Chicago 1923 1st ed 4th prtg. 1040p., 1923. Green cloth. A few traces of rubbing to covers and a few light age spots on the endpapers but otherwise a clean tight hardcover book in very good condition. Unmarked save for the neat ownership signature of Otto Windt who was a top executive with the candy company E.J. Brach. 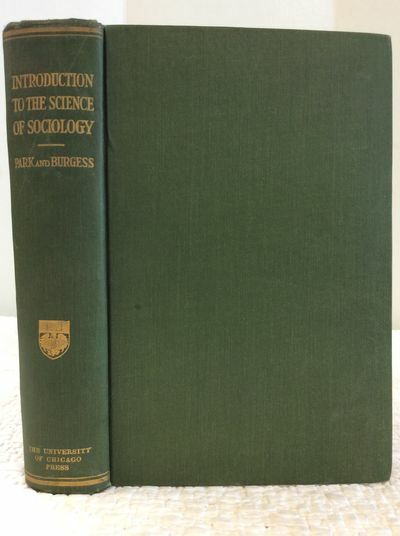 Fourth printing of the first edition of the first study of sociology. All printings of the first edition are uncommon. This is a landmark textbook in the field and was the basis for Chicago Sociology - the discipline which had a huge influence of the fieldthroughout the 20th century. The authors argue sociology is not concerned with explanatory schemes but rather with how people interact in groups. Kirchner, Ernst Ludwig - Bosshart, Jakob. Neben der Heerstrasse. Erzählungen. Mit Holzschnitten von Ernst Ludwig Kirchner. Calmann-Lévy, 1923. - Calmann-Lévy, Paris 1923, 12,5x19cm, broché. - Edizione, una delle 75 copie numerate su Holland. Bellissimo esemplare conservato testimoni. - [FRENCH VERSION FOLLOWS] Edition originale, un des 75 exemplaires numérotés sur Japon, tirage de tête. Bel exemplaire. Utet, 1923. Dodici volumi legati in sei, pp. 5.000 circa complessive. Con moltissime figure incise nel testo (molte delle quali a colori). Solida ed elegante legatura coeva in mezza pelle, dorsi lisci con titoli e filetti in oro. Ottimo stato di conservazione. Bell'esemplare di questo classico della letteratura medica. Nrf, 1923. - Nrf, Paris 1923, 11,5x19cm, relié. - Prima edizione della traduzione francese, uno dei 50 numerato sul filo puro solo grandi giornali. Binding metà della marina del Marocco blu, colonna vertebrale con cinque nervi, dorato data coda marmorizzato piatti di carta, guardie e contreplats carta grigio-blu copertine ed esegue il insolated e scolorito conservato, testa dorata, legame firmato T. Boichot. Due lacrime abilmente restaurati pagine teste 15-16 e 51-52. Copia piacevolmente stabilito. - [FRENCH VERSION FOLLOWS] Edition originale de la traduction française, un des 50 exemplaires numérotés sur pur fil, seuls grands papiers. Reliure en demi maroquin bleu marine, dos à cinq nerfs, date dorée en queue, plats de papier marbré, gardes et contreplats de papier gris-bleu, couvertures et dos insolé et décoloré conservés, tête dorée, reliure signée de T. Boichot. Deux déchirures habilement restaurées en têtes des pages 15-16 et 51-52. Exemplaire agréablement établi. Editions du Sagittaire, 1923. - Editions du Sagittaire, Paris 1923, 13x18cm, broché. - Prima edizione, una delle copie della stampa. Preziosa e rara dedica autografa firmata dall'autore Jacques Rigaut "... MJ Rigaut / per il cordiale omaggio / J. Delteil." Torna un po 'come generalmente insolated. Provenienza eccezionale. - [FRENCH VERSION FOLLOWS] Edition originale, un des exemplaires du service de presse. Précieux et très rare envoi autographe signé de Joseph Delteil à Jacques Rigaut : "... à M. J. Rigaut / en cordial homage / J. Delteil". Dos légèrement insolé comme généralement. Exceptionnelle provenance. St. Petersburg: Akvilon, 1923. 49,  pp. : ill. 27x22 cm. In publisher's color lithographed illustrated wrappers. Rubbings and small tears, edges are chipped, tears and small losses of the spine, owner's signature on p.1 and markings on the back endpaper, rare foxing of the wrappers, very light stain of the inner side of the lower end of the wrappers. Otherwise a very good clean copy. 1 of 1000 copies. First edition. Kuz'ma Sergeevich Petrov-Vodkin (1878-1939) was a major modern Russian and Soviet painter, teacher and writer. Being mostly a painter he was experimenting with literature during all of his life. In 1921 Petrov-Vodkin travelled to Turkestan (Uzbekistan) with an expedition organized by Academy of History of Material Culture to study architectural monuments. He was amazed by the colors of Samarkand, called it ''the land of turquoise revelation'', and the result came in a form of 'Samarkand series' which is regarded by many as the acme of his artistic career. This book was compiled from his observations and on-the-spot sketches. Today this journal is also a very useful account of ways of his inspiration which led to creating more than 20 pieces of his famous art. These illustrated travel notes were printed on coated paper (wrappers of a cream thicker paper). For this edition the artist created 22 ink drawings (pen and brush): 14 full page images, 7 headpieces for every chapter, 1 tailpiece. 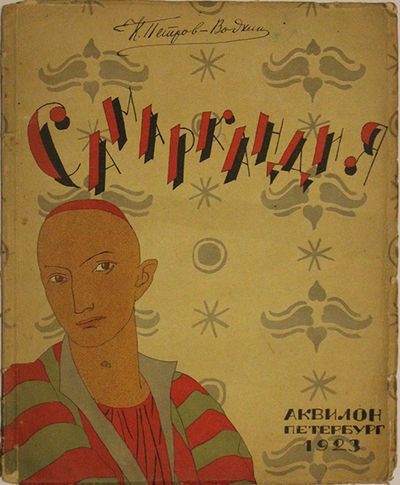 Illustrations are black and white except the front cover with colored illustration - a young man in front of Central Asian ornament. Book's composition and typography is an example of avant-garde graphics. 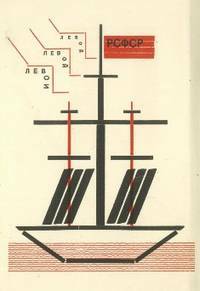 The combination of the colorful and visual text with monochrome illustrations reflects the combination of the artistic expression and aloofness at the same time which brings these illustrations closer to artists's pictorial art in which he famously used the traditions of Russian iconography. This edition was printed by Akvilon, a very important bibliophile private press of the 1920s. Akvilon published only 22 books of high art and printing standards and of small runs (500-1500). MoMA. 496. WorldCat located 6 copied in US libraries. Soho: Nonesuch Press, 1923. Small quarto. (6), xxiii, 91, (7)pp. From an edition of 1,200 copies, this is one of twenty ad personam copies, specially bound. This is the first book of Francis Meynall's Nonesuch Press. Meynall, along with his wife, Vera, who selected and edited Donne's text for this production, and David Garnett, founded the Press in order to demonstrate that "mechanical means could be made to serve fine ends." Although the Fell type for this edition was hand-set by Meynall, it was printed on a commercial press at Oxford. This enabled Nonesuch to offer handsome limited editions for about half the price of contemporary private press books, such as Golden Cockerel. This book was a commercial success for Nonesuch, selling out the edition within the year, helped along by favorable magazine reviews by T. S. Eliot. In publisher's special binding of full stained vellum, decorated in gilt. Nearly imperceptible fading to spine, otherwise fine. Bookplate of Sir Frederick Richmond, for whom this copy was printed. Sir Richmond was a noted collector of early needlework. Stamperia Apuana di Ettore Serra, 1923. in - 4 Perfetto stato generale di conservazione in barbe. Ex libris d \ 'appartenenza al contropiatto Tiratura 500 esemplari numerati su carta a mano Magnani di Pescia. Ns. esemplare n. 269. Contiene la fotografia a piena pagina del Poeta nel 1950 a Roma (fatta da Michele Ottria) applicata al controfrontespizio. Edizioni futuriste di "Poesia", 1923. Brossura (wrappers) Liriche e parole in libertà con prefazione di F. T. Marinetti. 8vo. pp. 32. Ottimo (Fine). Pochissime fioriture in copertina (Some light yellowing at the cover). Prima edizione (First Edition). "Nel suo libro più importante, Il Fuoco delle Piramidi, egli presenta tavole parolibere di grande originalità, tra cui la celebre poesia visiva Amore, in cui le lettere si dispongono in una specie di diagramma sinusoidale che rimanda allo stato di movimento, nonché alla condizione psicologica di esaltazione - depressione, e contemporaneamente allude all'immagine del mare, al moto delle onde, tutti simboli dell'atto amoroso" (Salaris 1992: pag. 179). The Mathematical Theory of Relativity. Barreau français. Collection des chefs-d'Oeuvres de l'éloquence judicaire en France. 1923. Panckoucke. 1923. In-8.Raisin. Relié plein cuir. Etat d'usage. Couv. convenable. Dos très frotté. Intérieur frais. 10 tomes. 1 ére série. Fleurons et roulette dorés sur dos. Tome 1: 470 pages. Procès d'Enguerrand de Marigny. Omer Talon: Affaire Gabriel Girard et sa femme. Denys Talon: Affaire de M de Calvière et de MM Dubosc. Lemaistre: Réclamation d'état, Validité d'un mariage soutenue.. Patru: Privilège de l'université, Refus de sépulture, demande tendant ç contraindre une veuve à faire les frais des oursuite de l'assassin de son mari. Erard: Testament contesté sous pretexte de différence de religion, Affaire du Duc de Mazarin contre son épouse, Appel comme d'abus d'un mariage contracté sans l'assentissement des parents. Gillet: Plaidoyer en faveur d'enfants mineurs contre leur aïeule maternellle qui contestait la valadité du mariage de leur mère. Fragments d'un plaidoyer contre l'abesse de Saint-Pierre de Lyon en faveur de parents qui refusaient de consentir à la profession religieuse de leur fille mineure. Tome 2: 560 pages.Pelisson: Discours au roi pour le surintédant Foucquet. Mathieu Terrasson: Pour le Sieur de Coursailles. Cochin: Pour les religieuses de Maubuisson, Pour les enfants du prince de Montbélliard. D'Aguesseau: Cause du Sieur de la Pivardière, Cause du Sieur Bouillerot de Vinantes, Question d'état résolue en faveur des enfants du Sieur Desnotz. Mannory: Pour le sieur Herbot Bessel. Tome 3: 520 pages.Barbier d'Aucourt: Premier mémoire pour Jacques Lebrun, second mémoire pour le même. Montesquieu: Discours de rentrée du parlement de Bordeaux en 1725. Dupatry: Mémoire justificatif pour trois hommes condamné à la roue. Séguier: Réquisitoire contre le mémoire pour les trois hommes condamnés à la roue. Tome 4: 536 pages. Loyseau de Mauléon: Mémoire pour le Marquis des brosses, contre la dame de la Breuille de Chantresat, son épouse, Plaidoyer pour Jean-Jacques Pilleron, écolier au collège de Montaigu contre Claude-Louise Lebon, veuve de Pierre Boucher porteur d'eau, Mémoire pour le sieur Daix contre le sieur Vattier, Mémoire pour la demoiselle Alliot contre le nommé la Ralde soi-disant tuteur de Basile Amable de Beauvau, Mémoire pour Donat, Pierre et Louis Calas, Mémoire pour le sieur de Valdahon, mouquetaire de la première compagnie, contre M de Monnier premier président de la chambre des compte de la Franche-Comté, Second mémoire pour le sieu de Valdahon, Réponse de Mademoiselle de Monnier à M Monnier son père, Mémoire pour Savary, Lainé et Lamet, soldats au régiment des gardes françaises contre M le procureur du roi. Défense apologétique du comte de Portes, gentilhomme de feu SAS Monseugneur le prince Stadhonder, et général major au service de leurs hautes puissances les états généraux adréssée à leur exellences du conseil souverain de la république de Berne. Elie de Beaumont: Mémoire poue Benjamin Beresford, prêtre de l'eglise anglicane, chapelain du duc de Bedford, recteur des deux paroisses de la ville de Bedford contre M le procureur-general et encore la dame Sidney Hamilton, éouse dudit sieur Beresford, plaignante, dénonciatrice et témoin; et contre la dame Gawen Hamilton, femme de sieur Hamilton, ecuyer, instigatrice, plaignante, dénonciatrice et témoin. Mémoire pour Paul-Paul Sirven, commisaire à terrier dans le diocèse de Castres, presentement à Genève, accusé d'avoir fait mourir sa fille, pour l'empêcher de se faire catholique, et pour ses deux filles. Tome 5: 508 pages.Exposé de l'affaire de M le comte de Lally-Talendal, lieutenant général des armées du roi. Mémoires produit au conseil d'état du roi par Trophine- Gérard comte de Lally-Tolendal. Discours du même au parlement de Dijon. Plaidoyer du même contre M Duval d'Eprémesnil.Tome 6: 505 pages. Linguet: Pour le duc d'aiguillon, Pour le comte de Morangiès. Gerbier: Pour le sieur Hatte.Tome 7: 550 pages. Target: Pour le sieur Alliot Fils, Pour la rosière de Salency, Pour le comte de Sourches, Pour le cardinal de Rohan, Pour la marquise d'Anglure. Lachotais: Premier mémoire, second mémoire. Tome 8: 541 pages: Caron de Beaumarchais: Contre Goësman. Duveyrier: Pour M Cadet de Gassicourt, Pour le sieur Gaborin du Puismin, Pour la marquise de Samson, Pour les sieurs Vaucher et Loque. Tome 9: 547 pages. Bergasse: Mémoire pour le sieur Kornman, Mèmoire contre Beaumarchais et le prince de Nassau. Servan: Discours sur l'administration de la justice criminelle dans un procès sur une déclaration de grossesse, dans la cause d'une femme protestante, Dans la cause du comte de ** et de la demoiselle ** chanteuse à l'opéra.Tome 10: 576 Pages; M Lacretelle: Pour le comte de Ch contre sa famille. Tronson du Coudray: Affaire de sieur Thibault contre Me Froudière, Affaire de Sieur Caseaux, Pour les avocats du bailliage de Nogent le Rotrou. Mirabeau: Prcès en séparation de corps. Portalis: Même affaire. Piero Gobetti Editore, 1923. In - 4° (28 x 19), pp. 106+(2), con 50 riproduzioni in fototipia di dipinti di Casorati e una ceramica. Brochure originale a stampa, firma di Felice Casorati alla pagina bianca. Rara prima monografia dedicata al celebre pittore. Ottimo stato. 1923. Pontificio Istituto Orientale, Roma. 1923 - 1934. In - 8.Carré. Relié. Bon état. Couv. convenable. Dos satisfaisant. Intérieur acceptable. 37 tomes. Illustrés de reproductions et cartes en noir et blanc sur planches hors texte. Texte en plusieurs langues. Titres dorés sur les dos. Quelques tampons de bibliothèque. Du n° 1, Anno IV, Series II, 1923, au n° 99, vol. XXXVI - 4, dec. 1934. Avec les Tables (Indices Generales), vol. I - XXXVI, Fasc. 1 - 99, 1923 - 1934. Sommaire du n° 1, 1923: L'unité dans le Christ, Michel d'Herbigny, s.i. L'Eglise orthodoxe Panukrainienne. Hierarchia Latina Orientis, Mediante S. Congreg. de Propaganda Fide Institutta (1622 - 1922), L. Lemmens. S. Josaphat, Georg Hofman, s.i. Sommaire du n° 99, 1934: Geografia ecclesiastica dell'Albania dagli ultimi decenni del secolo XVI) alla metà del secolo XVII°, F. Cordigano, s.i. Bronze *Jasmine* eines jungen nackten Mädchens. 1923. Stock, Paris 1923, 12,5x19cm, broché. - Stock, Paris 1923, 12,5x19cm, broché. - Prima edizione, una delle 500 copie numerate sul filo puro. La nostra copia è arricchita con una spedizione dell'autore decorato con un disegno del volto di un giovane uomo. Torna un po 'passato senza gravità, bella copia. [FRENCH VERSION FOLLOWS] Edition originale, un des 500 exemplaires numérotés sur pur fil. Notre exemplaire est enrichi d'un envoi de Jean Cocteau agrémenté d'un dessin représentant le visage d'un jeune homme. Dos très légèrement passé sans gravité, agréable exemplaire. (PHOTO TRADING CARD, PROBABLY THE FIRST OF A JEWISH WOMEN'S TEAM) TORONTO Y.W.H.A. LADIES? BASKETBALL TEAM, WINNERS OF THE GRIFF CLARK TROPHY. New York: Harper & Brothers, 1923. 1st Edition . Hardcover. Very Good/Good. [Of-3]. Stated first edition with publisher's code "I-X". Signed in purple ink by the author on the fly leaf. 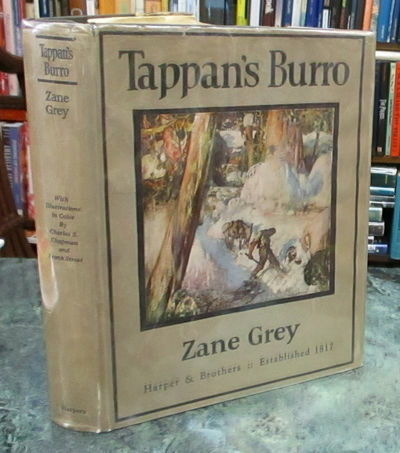 Hardcover, bound in cloth with dust jacket. The edges worn, the jacket with small chips at the corners, several small tears and a two inch tear; the book cover faded and corners a bit frayed; prior owner's name, smudges to the frontispiece; tanning to the endpapers. Includes a 1978 letter from the dealer who had sold the book certifying the signature. The Golden Mean and Other Poems. Rütten & Loening, 1923. - Rütten & Loening, Frankfurt am Main 1923, 14x20,5cm, reliure de l'éditeur. - Edizione illustrata di 7 fotografie e tre facsimili. Raro dedica autografa firmata dall'autore. Binding Editor mezza tela tabacco schiena liscia, cartone sabbia piatta con piccoli graffi. - [FRENCH VERSION FOLLOWS] Edition illustrée de 7 photographies et de 3 fac - similés. Rare envoi autographe signé de Stefan Zweig. Reliure de l'éditeur en demi toile tabac, dos lisse, plats de cartonnage sable comportant de petites éraflures. Vienna. Zweiten Kunsthistorisches Instituts der UniversitÃ¤t Wien & Osterreichisches Institut fur Geschichtsforschung. Schlosser, Julius & Hermann Julius Hermann, eds. Beschreibendes Verzeichnis der Illuminierten Handschriften in Ã–sterreich. Neue Folge: Die Handschriften und Inkunabeln der Nationalbibliothek in Wien. Vols. I through VII. (Complete second series). (Also numbered continuously with the first series as Vol. VIII, parts 1-7). 7 vols. bound in 15 parts, comprising a complete set of the monumental catalogue of manuscripts in the Austrian National Library, copiously annotated, with bibliographic references throughout, each volume containing its own registers and indexes, profusely illustrated with collotype reproductions of manuscript texts and illuminations, some in color. Large 4to. Near uniform binding in brown cloth, save for vol. I in tan cloth, with brown title badge on spine. Leipzig (K. W. Hiersemann) 1923-1938. Arntzen/Rainwater M 11. First edition. Lissitzky, El, & Vladimir Maiakovskii (Mayakovsky). 1923. Lissitzky. 61 pp. collection of 13 poems by Maiakovskii arranged in a volume designed entirely by Lissitzky, which includes 23 typographic constructions in the text or on plates, indexed tabs bearing the name of each poem and a small graphic emblem, as well as a Constructivist-style decorative motif on the wrpps, very light soiling and rubbing here and there, two small ink stamps to inside and outside of back cover, pen notation to copyright page. 8vo. Orig. dec wrpps., a bit soiled and rubbed. Berlin (Lutze & Vogt) 1923. Grasset, 1923. - Grasset, Paris 1923, 12x19cm, broché sous étui. - Prima edizione, una copia del servizio stampa. Raro dedica autografa firmata dall'autore al principe Serge Wolkonsky. Due restauri superiore e inferiore della schiena, schiena piatta e marginalmente insolated, carta ingiallita, piccoli spazi marginali sulla prima guardia. La nostra copia integrale prega di inserire incollato su una guardia, è presentato in camicia caso Devauchelle: torna marocco oliva, piatti di carta anice, olive sentiva dentro. Il principe Serge Wolkonsky è stato direttore del Bolshoi e l'amico del connazionale Sergei Diaghilev. - [FRENCH VERSION FOLLOWS] Edition originale, un des exemplaires du service de presse. Rare envoi autographe signé de Raymond Radiguet au prince Serge Wolkonsky. Deux restaurations en tête et en pied du dos, dos et plats marginalement insolés, papier jauni, infimes manques marginaux sur la première garde. Notre exemplaire, complet de son prière d'insérer encollé sur une garde, est présenté sous chemise - étui de Devauchelle : dos de maroquin olive, plats de papier anis, intérieur de feutrine olive. Le prince Serge Wolkonsky fut directeur du Bolchoï et l'ami de son compatriote Serge de Diaghilev. I miei viaggi nella Terra del Fuoco.